Here’s an old-time treat for singers, fiddlers, fiddle-singers, banjo players – or indeed anyone who loves a great tune rendered as a slow air. The Blackest Crow is known as an Appalachian tune. Lyle Lofgren comments on its origins: Versions of this song containing references to glass breasts and superlatively black crows have been collected in both Appalachia and the Ozarks. Some of these versions are diary entries dating from the time of the American civil war. Written copies of the words and the existence of multiple tunes indicate that the song was spread by broadside or newspaper publication rather than in the oral tradition. Current versions of the tune mostly derive from the playing/singing of acclaimed North Carolina fiddler and banjo player Tommy Jarrell (1901-1985), whose working life was spent on road construction. There are any number of versions of the lyrics, though the tune is generally unchanging. My three personal choices are each utterly individual. Enjoy! Melodic virtuoso solo performance at the 2010 Sore Fingers Summer School, Oxfordshire, England. Adam’s rendition is so clear, it might just be the exception to the old rule that a fiddler should never learn a tune from a banjo player! The late and very great Mr Jarrell performing the song under its other common title, As Time Draws Near. Red Tail Ring: currently on tour, with an unmissable Old-Time Ensemble Workshop in Downers Grove, IL, USA this Saturday, 3 October. Further details of that and remaining tour dates on their website, along with videos and downloads of their CDs. Adam Hurt: for more information on gigs, recordings and online banjo teaching, see his website. 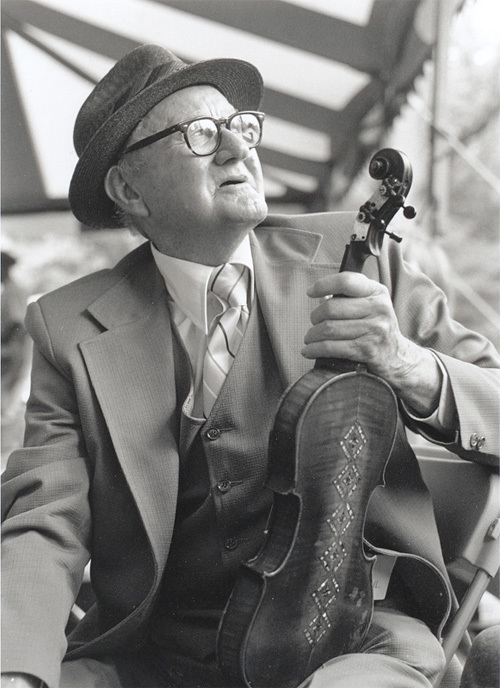 Tommy Jarrell: there is a wealth of information and recordings online, including an interesting biography here, and a lovely piece on his first fiddle now in the keeping of the Smithsonian.